Located in the centre of Prague is the art nouveau Municipal House (Obecni Dûm Praha), one of the city’s national cultural landmarks. Whilst this multi-functional building is a venue for conferences, congresses, concerts, balls and other events, it is also an important building in terms of Prague’s architectural and political history. Some of the most important Czech painters and sculptors were involved in the decoration of this building. The eye-catching main facade of the Municipal House features a large ceramic half-dome mosaic above the entrance by Karel Špillar, titled Homage to Prague. Other allegorical groups of sculptures depict Nationalist themes like the Degradation of the People and the Resurrection of the People, created by some of the leading artists of the time. For anyone interested in seeing art nouveau in Prague, the Municipal House can be visited by joining one of their many guided tours. 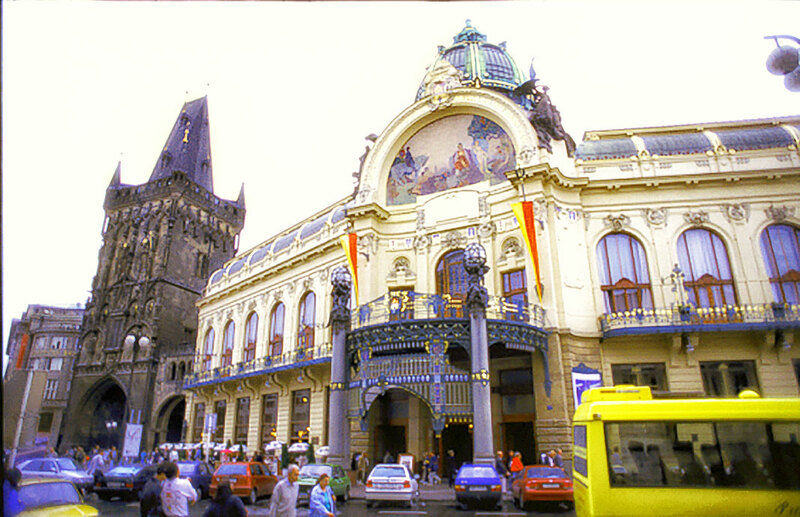 The tour route covers the Smetana Hall – Confectionery – Moravian Slovak Parlour – Božena – Nemcová Parlour – Oriental Parlour – Grégr Hall – Palacký Hall – Mayor’s Hall – Riegr Hall – Sladkovský Hall – Wine Bar – and the American Bar.